Julie Gichuru is the real ‘mama yao’. Mess with her at your own damn peril. She is the definition of ‘moto wa kuotea mbali’ and if you think I am a joker, then ask and confirm with Controversial blogger, Robert Alai. I truly admire and respect Julie Gichuru. She is in her fifties but looks like a chille fresh from high school. 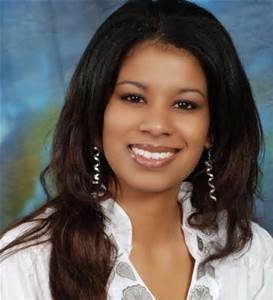 Most of you don’t know that Julie Gichuru has 5 children. What does this hot mama eat? Some women are blessed with one child and they become drums/tanks….Big Ted like! That aside, let me share with you the ordeal of one of our own. Robert Alai accused her (Julie) husband in Ruai land grabbing scandal and you won’t believe the outcome. She took legal action that sent Alai behind bars for a few but quality hours. Miamu properties, a real estate company in Kenya also made a similar blunder associating Gichuru to a piece of property that she knows nothing about. The company was selling a maisonette (4 bedrooms) in Ruiru which they claimed that the property was owned by the beautiful and sassy news anchor. Julie Gichuru did not entertain the sh*t and she was bitter and furious warning Kenyans against the said property. Miamu Properties became smart by avoiding to face the ugly side of the pretty queen of TV. They went ahead to apologize for the ‘mistake’ they had made and asked for forgiveness.